Did you know there is a toxin-free option to boost your lashes that not only works just as well as the chemical filled products, but it’s waaaaaayyyyyy less expensive and much better for you? AND…even nourishes your lashes with essential oils! Oh yeah, there is. Add about 10 drops of Lavender right into the bottle of castor oil, shake really well. It comes with several special little lash brushes. If you want to really give it a big kick add a few drops of Cedarwood essential oil too! Using the brush just brush the serum with the oil in it along the base of your lash line in the evening after all makeup has been removed! Voila! You have just made your very own TOXIN-FREE LASH BOOST that will probably last for a year for less than $15! Enjoy! Coconut oil is a staple in my house. Coconut oil has many proven health and beauty benefits. I use it for everything from skin care to cooking – so we use A LOT. 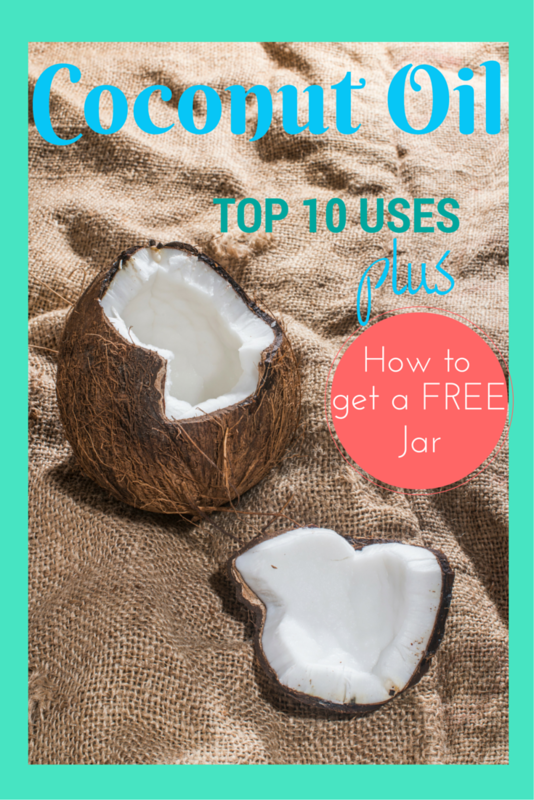 Here are my top 10 ways to use coconut oil, and a chance to get a FREE jar of coconut oil from Thrive Market! So many uses for coconut oil! How would you like to get a free jar of coconut oil?? Thrive Market, essentially the Amazon Prime of healthy foods and wellness products, is offering all new members a FREE full-size jar of Nutiva Coconut Oil (only available until June 24th), along with several samples of favorite products (valued at $25). Just click over to Thrive Market, enroll in the free trial and search Nutiva Coconut Oil to find the free sample box! Want to make all natural skin care products using coconut oil and essential oils? Find out how to buy essential oils at wholesale, (24% off retail! ), and get a free sign-up gift. Diaper rash. Skin irritations. Scrapes and scratches….All things that you baby’s soft and perfect skin will encounter at some point. Up until very recently I used standard diaper rash cream and ‘natural’ baby lotion to address these issues. Unfortunately many of these products, even those labeled ‘natural’, contain harsh chemicals and petroleum products. They also tend to be pretty pricey. 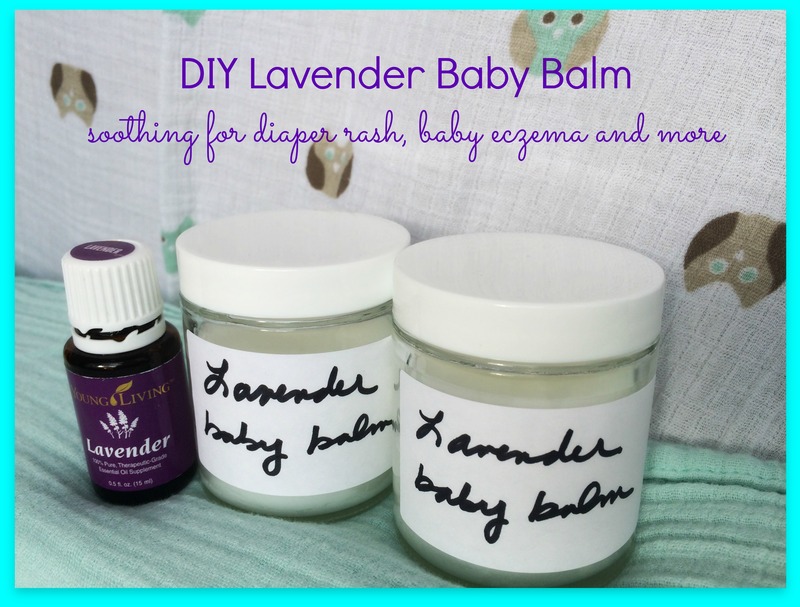 The alternative I’ve started to use is a very simple, 3-ingredient baby balm that can be used for all these things. This balm cleared up my 8 month old baby’s irritated skin in days. Now I slather it on him after every bath. I’ve also used this balm to soothe a scrapped chin which healed up in no time. Apply liberally and as needed! Get started with essential oils HERE!